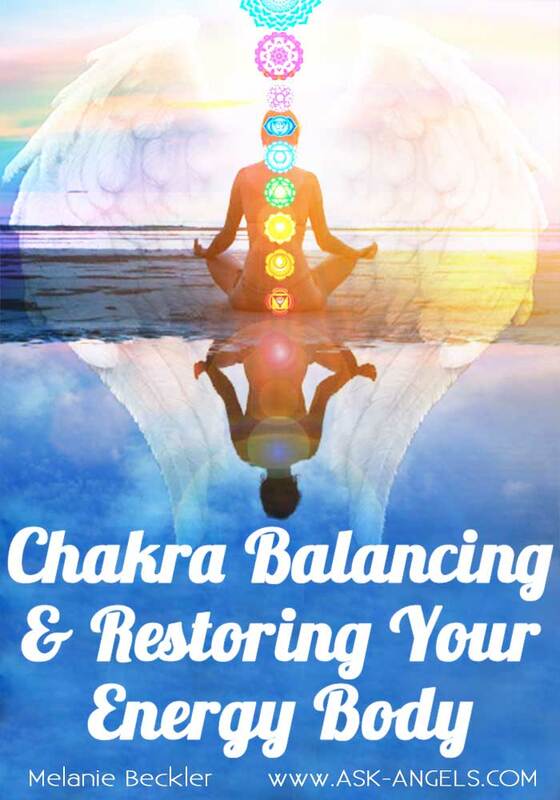 Are Unbalanced Chakras Causing Challenges In Your Life? Do you ever just feel “off“? I’m not only talking about being physically run down, or even sick. I’m talking about those times when there really isn’t anything bad happening in your life, and yet you still just feel heavy, stressed, or out of balance. It can almost feel like everything is working against you… Where anything and everything becomes a struggle for no apparent reason. In our busy, stress-filled, and often chaotic word, being energetically out of balance is oftentimes more common than not! And the unseen world of energy is playing a bigger role in what manifests in your life than you think. You see, in every moment you have an incredible energetic system flowing through and around you. At the core of your energy system are your chakras. 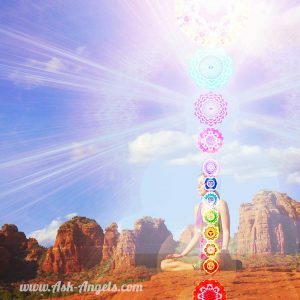 Your chakras are energetic centers that work together to keep you healthy, energized, connected, and in sync with the natural rhythms of life. That is… When they’re balanced. But when your energy body and chakras are out of balance… It can throw just about every area of your life right out of alignment. You effortlessly attract more of what you desire because you are in a state of energetic balance and alignment. This is how you can create your optimal life with less energy and effort… Through being in balance. Is Your Energy Body Working The Way It Should? Right now having your energy systems and chakras in balance is more important than ever. Because we're at a point in time now where we're collectively leveling up! The game of life on Earth is changing. And so, what worked for you in the past to bring you back into balance and alignment may not work in quite the same way anymore. While at the same time more fully aligning with the higher spiritual realms, Divine Cosmic Light, and with your multidimensional truth. You have some incredible angelic support! Archangel Metatron connects in this incredible 30 Minute Channeled Meditation to support you in bringing your 12 Chakra System, and your entire energy body into Divine Balance and Harmony. This new Angel Session just so happens to be one of my favorite channeled sessions to date. As you simply press play, relax, and listen, you'll experience a complete divine cleansing, balancing, and activating of your 12-chakra system. You'll call back your energy, activate your higher chakra centers, and allow the truth of your inner Divine Light to brightly shine through. And after listening, you're going to feel so refreshed, reconnected, and recharged. But with results that are truly priceless. Plus as always, we know you're going to love this meditation, so we're offering you a 100% no questions asked money back guarantee. Listen to and love this session, or just let us know and we'll refund your entire payment. We're willing to take on this risk because we've experienced first hand the power of this meditation with Archangel Metatron, and know how much you're going to love it too! Click the button above and complete your checkout now so you get this powerful new angel session for the low price of $17. P.S. Curious what others are saying about this meditation? You are. Part of my everyday life and I love you and need you more than ever.. Thank you for the positive effect you have on my daily mind body and consciences. We are all One and I am living in the present ?☮️?❤️?????✌?️???‍?‍?‍????????????????????????????????????????? I only just discovered your work and am already loving your content! It’s so insightful and helpful on deep levels. I was wondering-in your opinion and experience, how long does one have to regularly practice this meditation before consistently experiencing 5th Dimensional consciousness on a day-to-day basis? Can i buy these cdes and have them mailed to me? Definitely I am in all areas of my life .